Did you know that 90% of our attendees last year would recommend our event to their colleagues or peers? But why take our word alone? 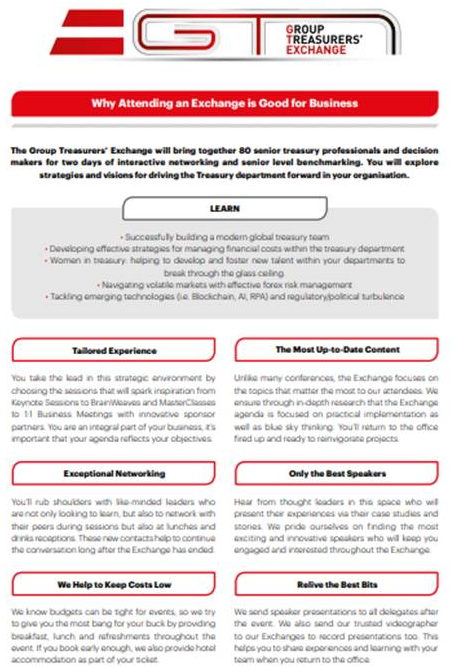 Find out why attending the Group Treasurers Exchange is good for business and what exactly you will gain.